Shadow of the Tomb Raider is the final part of the rebooted trilogy and is set to take Lara Croft into her darkest experience yet. It’s the 12th game in a franchise that has seen its ups and downs, though more recently the quality has been high. 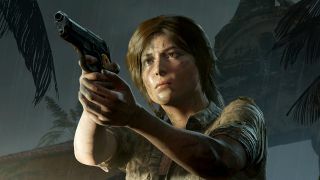 Since the gritty reboot in 2013 Lara has gone through somewhat of a renaissance, redefining old mechanics while adopting plenty of new ones inspired by the likes of Uncharted. The latest adventure sees Ms Croft jet off to Mexico after the events of Rise of the Tomb Raider. Here the adventurer is seeking out a Mayan relic which has connections to her late father. Of course, it’s not all that simple and as Lara acquires the treasure, she manages to unleash a Mayan apocalypse. As you do. We enjoyed Shadow of the Tomb Raider, awarding the game 4/5 stars in our review, and calling it "the final and strongest entry in the rebooted trilogy". It's a divisive game, for sure, but we like the fact it's kinda crazy, and features a genuinely unhinged Lara. There's heaps to see and do, so you're looking at 30-35 hours for a 100% completion. However, once you're done, you'll need to get hold of the season pass for additional stuff, which will include monthly 'challenge Tombs'. There are set to be seven of these, so that's a reasonable wedge. Here are the cheapest prices on the game. Of course, the base game will allow you to enjoy Croft’s latest adventure on PS4, Xbox One and PC, but there are a few other options available. For those who want a little more Lara content, the Digital Deluxe edition features the base game, along with a ‘skills booster pack’, an additional weapon and outfit, plus a digital copy of the soundtrack. A steelbook edition is limited to selected retailers, featuring exclusive artwork on the cover, three art cards inside the case and some retailers are offering an ‘in-game currency pack’, too. There’s no mention of the digital content, which is a shame. The Croft Edition packs in all of the earlier mentioned digital content and a few extra outfits and weapons. This version includes the Season Pass, which is due to collect extra side missions for the main game, “seven weapons, outfits and skins” and seven challenge tombs. Of course, you can buy the Season Pass on its own to bolster the gameplay of the base edition. For the ultimate fan or collector, there’s the ‘Ultimate edition’. Along with all the digital content from the ‘Croft edition’, the Season Pass is bundled in there as well and you also get a few physical items which will look great in any collection; A bottle opener in the form of Lara’s climbing axe, a flashlight modelled on the one Lara uses in-game and lastly a wonderfully detailed statue of Lara brandishing her machete.